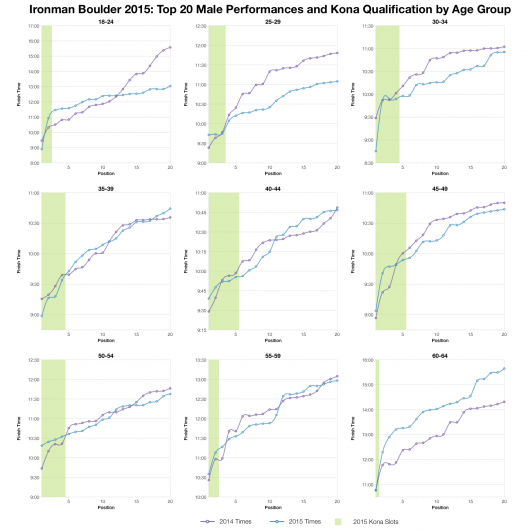 For it’s second year of racing Ironman Boulder was an age group only affair. Given pros account for less than 1% of most Ironman race fields this has a minimal impact on the statistics I produce. You won’t see the fastest times from last year, but overall the field was pretty much on par with the inaugural race. 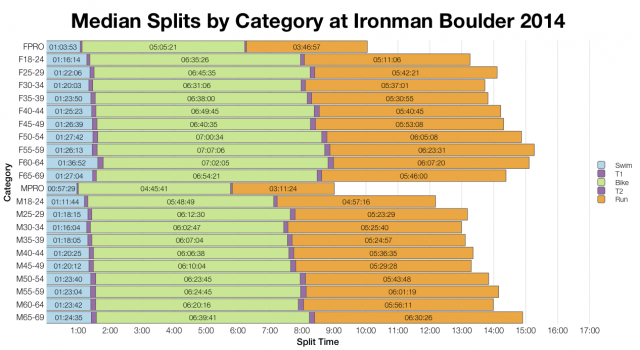 Broadly speaking this year’s bike and run medians are a touch faster than in 2014 while the swim tends to be slower. Enough age groups follow this pattern to suggest that 2015 conditions might have been a little kinder than 2014. The changes aren’t huge though, there’s not that much to choose between the two years of racing. The distributions, as they often do, give a simpler view. 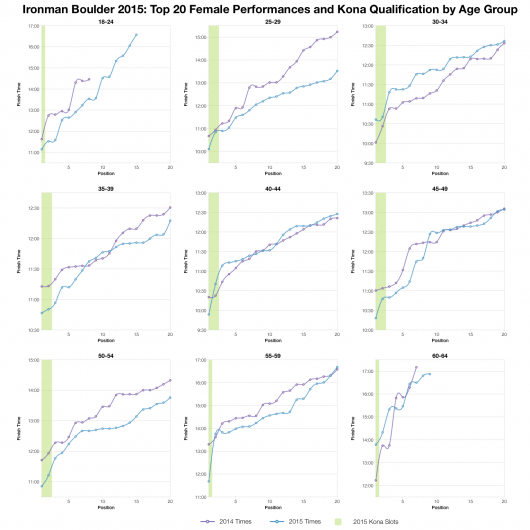 Again we see a distinctly slower swim distribution at this years race (2014 wasn’t particularly fast either). 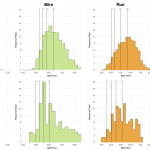 We also see a slightly faster bike distribution. 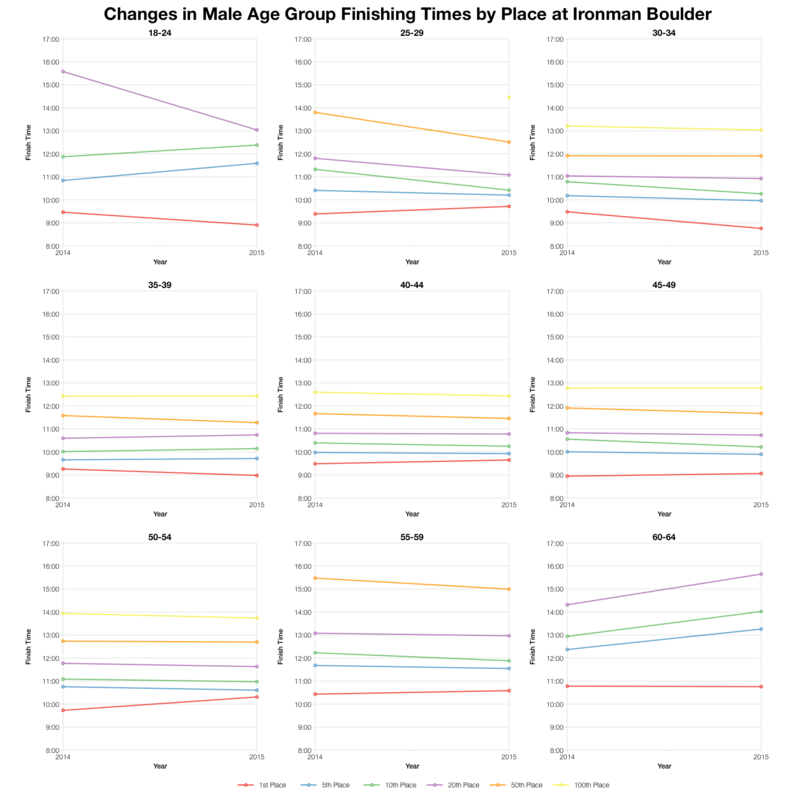 While the absence of pros removes the very fastest times, there is enough weight at the front of the age group field to pull times left. 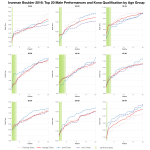 The median time for the run is also faster, although this doesn’t carry through to the front of the field where the top 5% come in at a similar point to 2014. 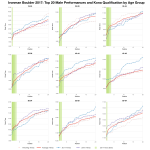 Overall the race distributes with a faster median point, but very similar 5th, 10th and 25th percentile points. 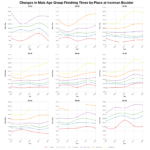 Changes in times by position work much better when you have more than 2 years of data to look at. 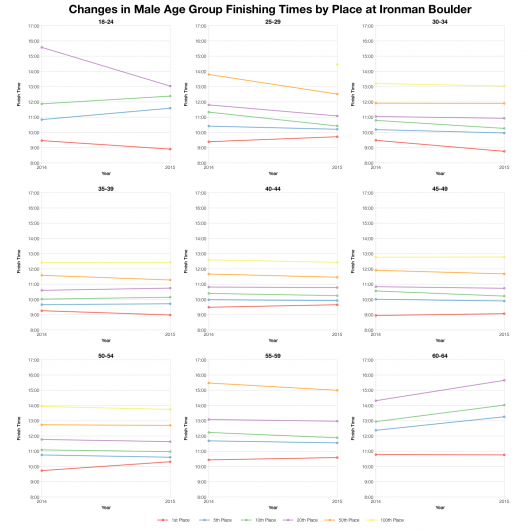 Here what they show is a limited amount of change for male age groupers, a few getting a bit faster, but more improvements for the women’s field with a number of age groups stepping up on the 2014 times. 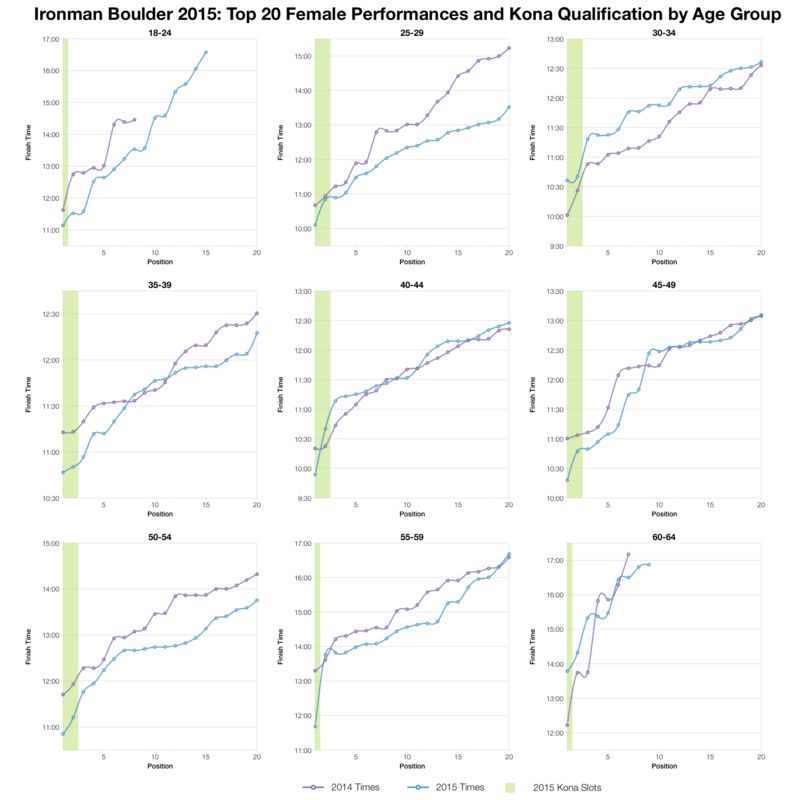 Looking at the very front of the pack, the potential Kona qualifiers and 2015 doesn’t look to different to 2014. A couple of age groups were faster in the top twenty, male and female 25-29 year olds for example, most fall close to the times from the first year of racing. 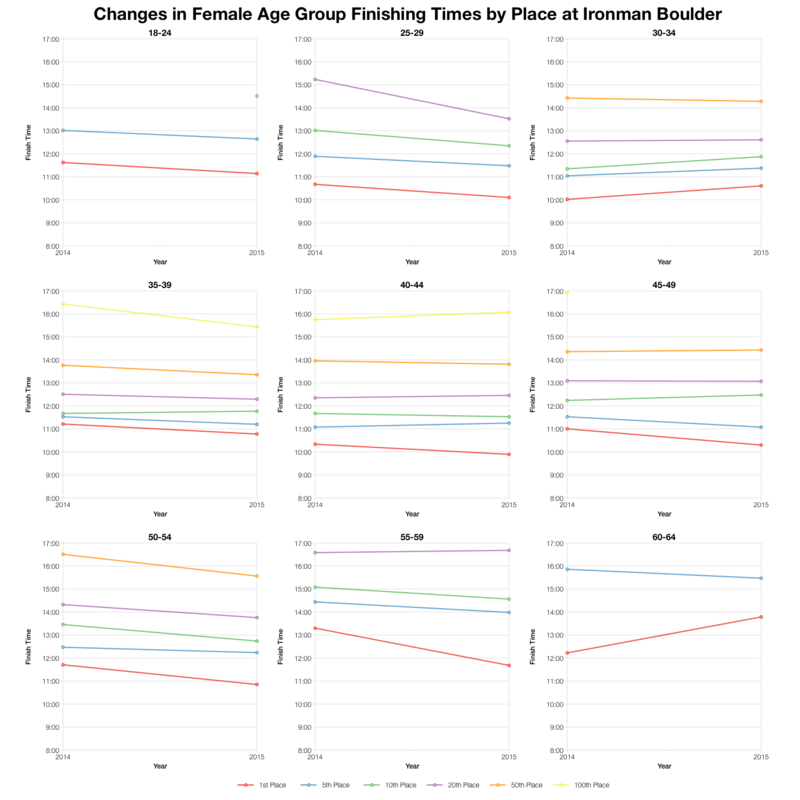 It appears that most of the changes in results for this years race come from improvements in the middle of the pack. 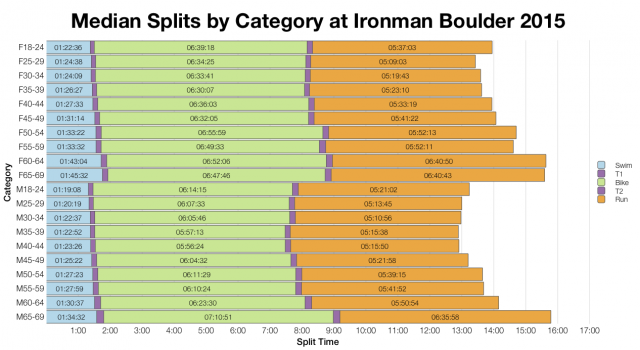 You can access a spreadsheet of the full results and splits for Ironman Boulder 2015 on my Google Drive.